Maria asked me to make a cake for Isabella's 6th Birthday as well as cookies, just like I did last year. I had plans to be in New York that weekend so I unfortunately couldn't do the cake, but I was definitely on board for making some birthday cookies! 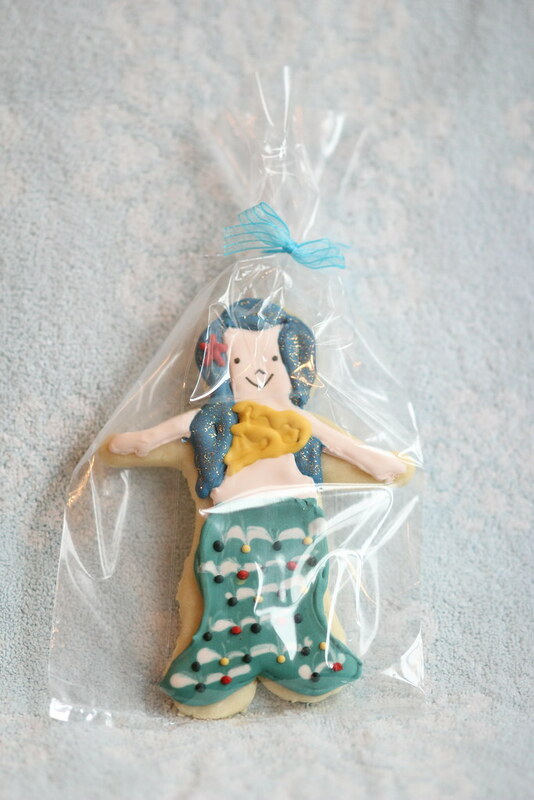 Maria handmade another AMAZING birthday invitation that I couldn't wait to turn into a decorated sugar cookie. 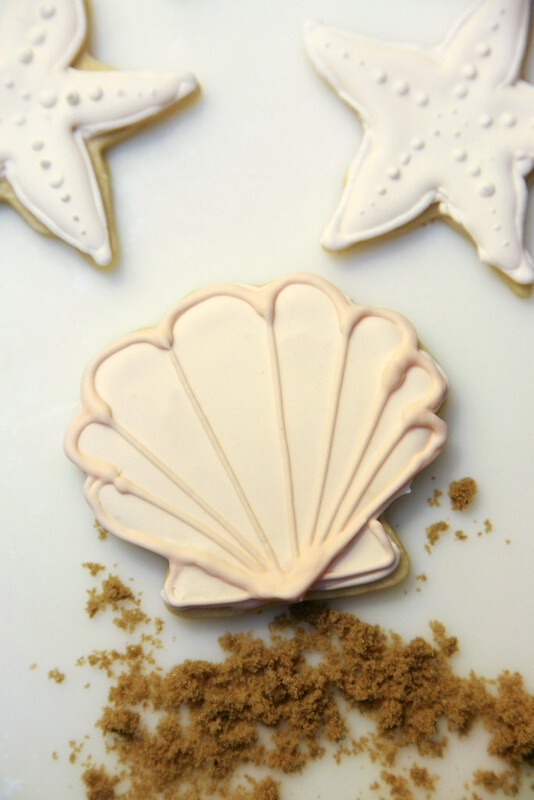 I was also excited to make the accompanying seashells and starfish that Maria requested. 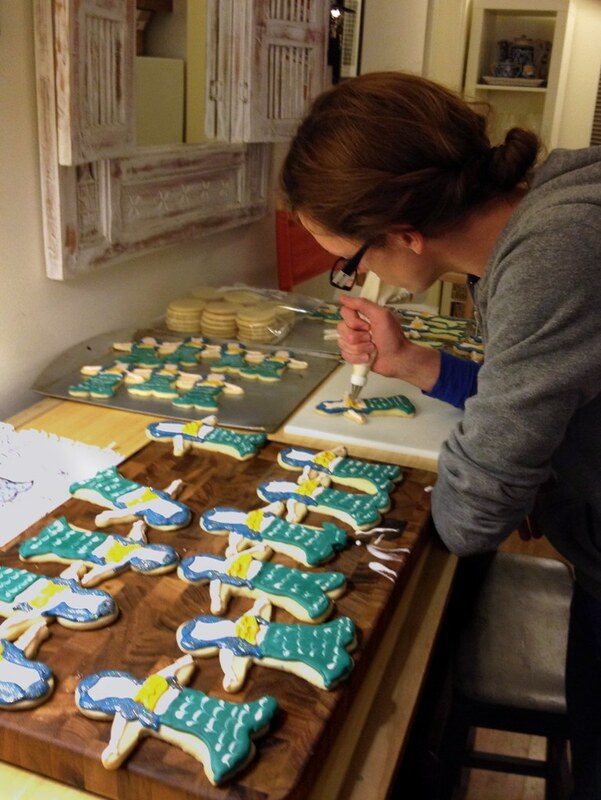 Cole actually re-shaped star and muffin cookie cutters to make starfish and seashell cookie cutters. He's so handy. And handsome. 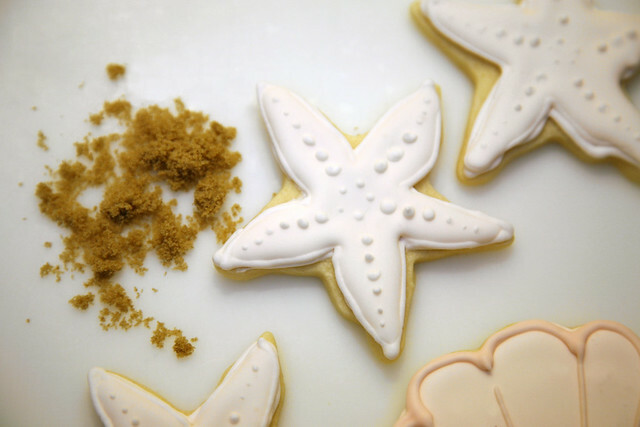 Here are the starfish cookies. Here's a photo Vale snapped of me in the thick of piping seashell bras on the army of mermaids. Maria wrapped them up herself in cellophane and ribbon! Well, done! 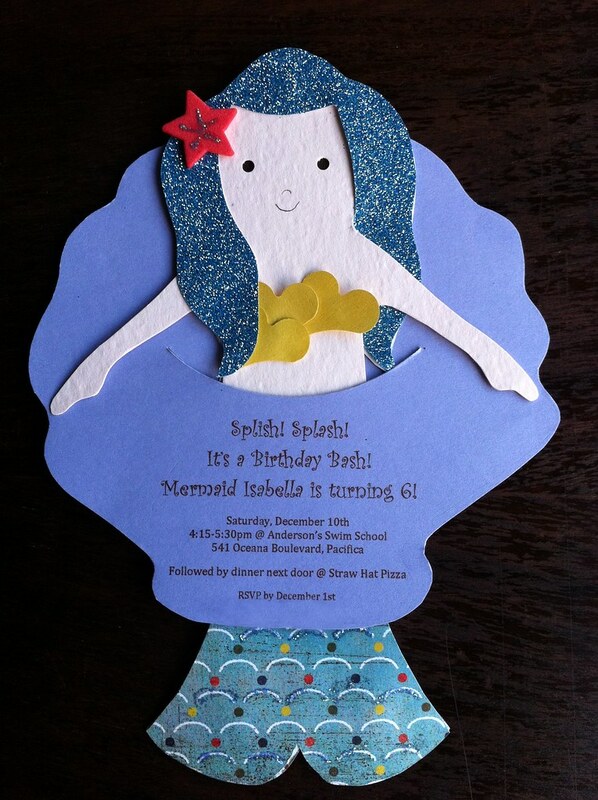 Here's a photo Vale took of Isabella at the party. 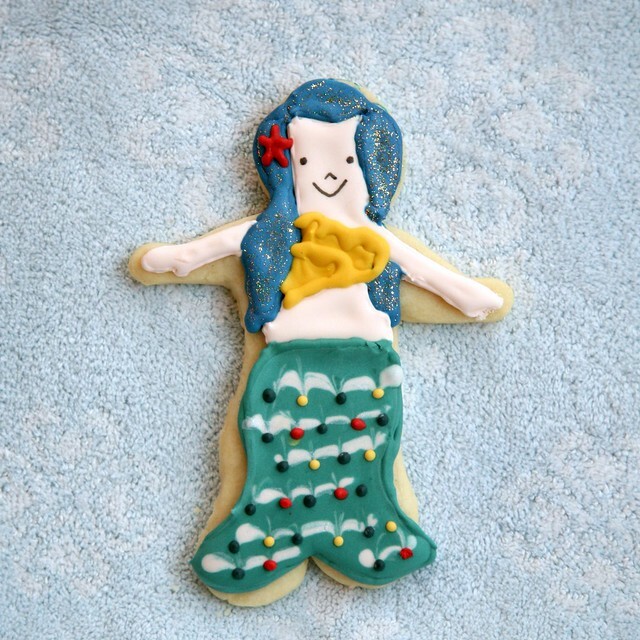 Thanks, Maria for the cookie order and hope you had a wonderful party, Isabella!